Breaking: Court lifts ban Omoni Oboli’s “Okafor’s law” – Royal Times of Nigeria. 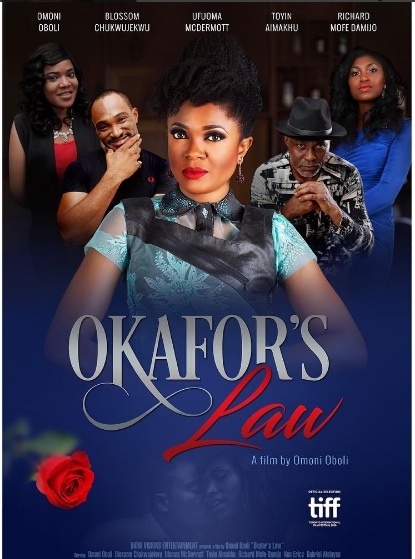 A Federal High Court sitting in Lagos has lifted the ban imposed on Nollywood producer, Omoni Oboli’s movie, Okafor’s Law, the News Agency of Nigeria reports. Justice Ibrahim Buba lifted the order on Thursday paving the way for the public launch of the movie on Friday. The injunction was issued by the judge last Friday following a suit by Canada-based Nigerian, Jude Idada and a ban and confiscation order came with it, this stopped the premiere of the film at IMAX Cinema in Lekki Lagos on 24 March. Idada claims the movie was his intellectual property, while Oboli insists the idea and the movie was hers.